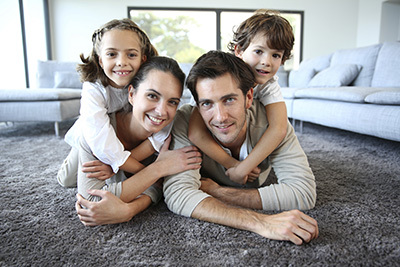 Generally speaking residential carpet cleaning is easier to handle than commercial jobs. Many people choose to ignore the various carpet cleaning service providers in Forest because they feel that they have the right DIY skills for doing the job privately. Nevertheless it must be said that tasks such as odor removal and water damage restoration are much harder than using a vacuum. To that end we have come up with some tips for home owners that cover everything from stain removal to tile cleaning. Make sure that you are moving in straight lines as you clean. Parallel strokes are particularly effective when working with a washer. This allows you to create a necessary overlap of no more than 3.5cm such that you reduce the risk of ugly streaking. It is very important that you do not over-soak the area that you are working on because this increases the drying time and the risk of developing mold down the line. You are advised to clean your carpet in the hot season when it is easier to get it to dry. One of the major problems for DIY carpet cleaners is the tendency to saturate the carpet. You need no more than 4 wet strokes for each area. In fact it is advisable to increase the proportion of dry strokes to wet strokes in order to control the drying time. You will know that the carpet is just at the right level when you stop sucking up any water. Ensure that you have a good rinsing agent (normally water). Check that any residue of the detergent is removed from the fabric. When you are cleaning carpets, it presents a perfect opportunity for you to pay attention to upholstery areas. For example you can clean your sofa set at the same time so as to reduce expenditure. If you have the option, it is advisable to select a carpet cleaner that has a flexible hose. In addition you will need a wash tool so that you can complete all the tasks that have been described in the carpet cleaning manual. There are many unusual tips about this subject including the suggestion that carpet cleaning improves breathing.